Relax in our café with a delightful coffee drink. Whether you are on the go or have time to relax, visit La Dolce Vita for a fresh coffee drink. 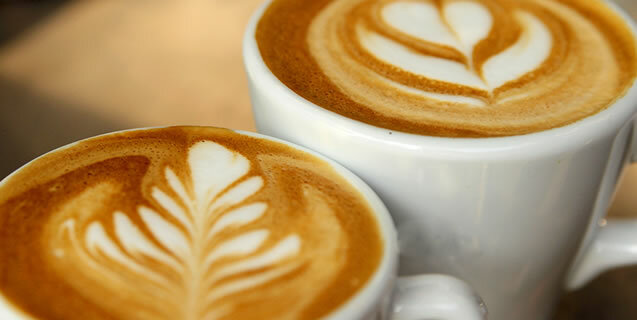 Our baristas offer a selection traditional coffee drinks, including cappuccino, espresso, Americano, an seasonal drinks. We also make special holiday drinks just ask for the latest creation. Of course, we’d recommend a treat with your drink like biscotti or a pastry. All drinks available in iced or decaf. Bottled Water, soda, iced tea, juice, and assorted imported Italian drinks available.